How do I upgrade to iPhone OS 3.1? Simply connect your iPhone to your computer, start iTunes and then click on “Check for update”. It will prompt you to download and install the latest iPhone OS 3.0 update for your device. Alternatively, you can download the firmware 3.1 .ipsw file from the direct link given here. NOTE: Do not upgrade to 3.1 if you wish to keep your unlock and jailbreak. Can I upgrade to iPhone OS 3.1 for free? All existing iPhone owners will get the upgrade for free. iPod touch users who purchased 3.0 will also get the firmware for free, however iPod touch users who are on a firmware older than 3.0 will have to pay $9.95 to get the upgrade. Download it from here. What are the new features in iPhone OS 3.1? List of new features of iPhone OS 3.1 firmware can be found here. I’m on a jailbroken and unlocked iPhone firmware 3.0.1. Can I safely update to iTunes 9.0? Yes you can. It won’t affect the already jailbroken or unlocked devices on 3.0.1. iTunes 9 can be downloaded from here. Can I Jailbreak my iPhone with OS 3.1? Not yet. Dev-Team will soon be releasing new versions of their pwnage tools incl. a new version of redsn0w which will enable you to jailbreak your iPhone. Can I unlock my iPhone with OS 3.1? Not yet. You will have to wait for the Dev-Team to release ultrasn0w which will enable you to use any carrier SIM on your iPhone. I don’t care about the unlock, can I update? Yes you can only if you don’t care about the jailbreak either. 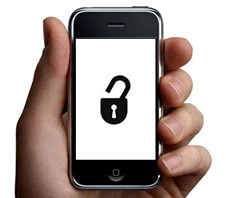 I have updated to iPhone OS 3.1 firmware, Can I still unlock? Not yet. It might take a while before you can. We warned you. Can I unlock my updated iPhone to OS 3.1 and skip jailbreaking for later? No. You need the jailbreak in order to unlock and there is no unlock for the 3.1 baseband. How can I downgrade from firmware 3.1 back to 3.0.1? iPhone 3GS: iPhone 3GS and newer devices need to be signed by Apple. You will not be able to restore to anything except the latest version. iPhone 3G: DFU mode, click+restore. iPhone 2G: DFU mode, click+restore. NOTE: This wont downgrade your baseband. What about MMS situation in iPhone 3.1? It will be officially available for AT&T users in US on September, 25th. How important are the iBEC and iBSS files? Those files were critical for future jailbreaking of iPhone 3GS only. If you didn’t get those files before 3.1 was out then you are out of luck for now unless someone comes out with a solution for that. I have heard that updating to iPhone OS 3.1 firmware through iTunes 9 will delete the already downloaded 3.0.1 firmware from my computer. How can I back it up? When can we expect the unlocking and jailbreaking solution for iPhone 3.1 firmware? No ETA (Estimated Time of Arrival) given for it by the Dev-Team. It could take a few days or even weeks. Feel free to ask me any other question that you may have regarding the iPhone OS 3.1 update process. UPDATE 1: Complete step-by-step guide on how to downgrade iPhone with firmware 3.1 to 3.0.1 has been posted. Follow it here to downgrade your device back to jailbroken 3.0.1 firmware state. UPDATE 4: MMS can now be activated on an AT&T iPhone 3G/3GS running firmware 3.1 by using the guide posted here. UPDATE 5: iPhone 3GS can now be jailbreaked and unlocked running on firmware 3.1. Follow the step-by-step guide posted here to jailbreak and here to unlock iPhone 3GS on firmware 3.1. As of now, you cant jailbreak your iPhone with firmware 3.1. After downgrading to 3.0 using iTunes then jailbreaking using redsnow 0.8 (The first time got stuck on applying activation …… then i put it on FDU mode again and it went through) but it’s not unlocked. I have a locked v3.1, and I do not have access in iTunes to choose a firmware as v3.01, even when I am using iTunes v8.2 and copied the firmware v3.01 in the library “Users[username]AppDataRoamingApple ComputeriTunesiPhone Software Updates”. How can I as you say “you can downgrade back to 3.0.1 for now and make it usable again”, when the iPhone is locked and I do not have access iTunes. we told you no one know when but some says theres a way to jailbreak and unlock not not from the official 3.1 frameware but in a custmized one the been created by the dev team,,,, it will be out i hope soooooooon…. The update doesn't remove any media, just the jailbroken parts. I noticed that some folders were not deleted from the phone like “Downloads” or MxTube. These folders still had all the files that were in them before the update like ipa files and downloaded YouTube videos. I found no new settings, I haven't tested the “Anti-phishing” and there's still no MMS as it says this doesn't come until the 25th. Now you can buy ringtones with iTunes, but what's the point? You can create them with Windows Movie Maker, convert them with dBPoweramp(freeware) and sync them with iTunes. I did like the new App Organization feature on iTunes 9, but everyone should wait until the jailbreak to use this. Apart from this, the update is only here to attack jailbreakers… I see no other reason. Bug fixes? Maybe, but as previous ones are “fixed”, others magically emerge to keep us updating. Don't waste money buying software to jailbreak iphone.. all u need is redsn0w 8.0 and iphone 3.0 firmware to jailbreak… make sure u download the right ipsw 3.0 1.1 firmware. But some had says after jailbraking u will not have cydia, but i never exprience such during my jailbreaking. I am using the First Generation. hey taimur bro thanks a lot for your advice yesterday…i did the things that u said and i have jailbroken to v3.0.1…after that i also downloaded itunes 9. Now taimur since my iphone is jailbroken i can download free apps like facebook and more from the inbuilt app store on the iphone with my itunes user id and password right or can i only download cracked apps since my iphone is jailbroken. i am running 3.1 firmware and 05.11.07 modem firmware and i downgraded to 3.0 and then jailbroke my iphone. i get cydia but i have no service and can not make calls or text..can somebody please help with this issue i hope somebody can help!!! so im guessing i do my upgrade on this then? after that it is safe to upgrade to i tunes 9? How did you downgraded ur iphone from 3.1 to 3.0??? could you teach me? the method using itunes 9 and quickpwn didnt work for me…. Mr Taimur, I had my 3GS 32GB upgraded to 3.1 now and the baseband is locked to as the others do, I also have my phone unusable and now can only make emergency call. How could I downgrade as the link u give me… it needs an AT&T card while I have a Celcom card only. I dont want to lose a RM3150 phone. Could you help me look for other ways that works to downgrade? I know unlock will not work now if I upgraded my baseband but I want it jailbreak and at least I could play with it for the time being. Help would be very appreciated…. Thanks….Terima Kasih…. Hi, I downloaded the new ITunes 9.0 and I have an unlocked phone. It appears if I download the new Iphone software 3.1 that it will override the unlocking. So now, that I downloaded the new itunes, how do I avoid downloading the iphone part? Do I just not plug my phone into my computer? Is there an option that says no you don't want to update that iphone porition of the software? Please advise. I am currently using an iphone unlocked by my service provider, what I want to know is that if I upgrade my iphone to 3.1 will my phone be locked? and whether jailbreaking it will affect my iphone unlock status? thanks ! you have to change your baseband using fuzzyband in cydia. google fuzzyband and try to find some information on that. 3.1 upgrades your baseband to a new one and ultrasn0w does not unlock the new baseband. Here is some info on Fuzzyband, unfortunately it will not work for everyone. Just a quick note of thanks – I've been tearing my hair out trying to figure out why I couldn't get my upgraded 3G to work, and following your instructions and warnings got me through it. Thanks! I am an at&t carrier. I upgraded to 3.1 then realized it broke my jailbreak. So i downgraded to 3.0.1 then jailbroke. I then jailbroke3.1 firmware. It would not connect to 3g service. My question is, is if I am an att carrier then why do i need to unlock? I am on windows and used a custom 3.1 firmware. Do I need to find a custom firmware made from another att user? If so do you know where i can find one. Hi i am from greece and i have Iphone 3G ( i buy this iphone From VODAFONE and is unlocked , and i want to jailbreak this to install cydia…Can you help me? My question is plane and simple. I accidently upgrade my iphone 3g to 3.1 through itunes. Can it be unlocked again as of now? go to http://blackra1n.com/ and download program run it wile your iphone is pluged in and wait for reboot then its done. Hi, can someone help me out please?!? i am buying an iphone which is locked to a specific network. They told me itll cost $50 to officially unlock it. If i then jailbreak it and then update to a new OSn by accident, will it then lock it back to the network hen causing me to have to pay for another network unlock…?